This book was absolutely excellent. I haven’t had a book draw me in so far as to sobbing, in a long while! Set in the time that Jesus walked the earth, this book has a huge impact. It was toward the end that was so intense, that I had to find a quiet spot and just read and sob for a bit. It was all just so well-written. The whole thing is great, and just lovely. Well, I mean, there is a lot that happens that is not lovely, but actually it all pulls together and makes you ache for Nissa (the main character). And all-together the story is just lovely. I loved Nissa and felt for her. There were ways where I felt like Nissa. I “bonded” with her (I know she is just a character, but I think differently).I felt her feelings of abandonment, and cried her same prayers. Elohim answers faithfully though, and hears our cries. I really (*cough*really*cough*) liked Longinus, too. Some books, when they’re written between two point of views, I tend to not so much care for the guys parts in the book, but that was not the case with “The Thief”. Longinus’ parts kept me captivated just as much as Nissa’s. This book is beautiful. You see how low Nissa (and Longinus) are brought down, and then you get to read the glorious ending that speaks of new beginnings. We think the answer is “Of course!” and then move onto the thought of His being risen, but when we deeply search our hearts, I believe some of us realise the answer we’d find is not what we expected. This book had me dwelling on the crucifixion of Jesus, and I needed that. I needed to know on a deeper level what He did – and all for me. I am truly impressed with this book and will be glad to read it again! Oh, and to the note that it is a series (which by the way I tried to find on Litfuse before I requested this book to review, but it didn’t say)…at first I thought it was not key to read them in order, because “The Thief” did stand fine on its own, and make sense, but now that I am reading “The Well”, which is the first in the series, I do recommend that you read them in order, simply because it does make a bit more sense, and the first introduces the background of the “The Thief”! Note: I received “The Thief” free for review from Litfuse publishing group. I was not paid for my review; all thoughts are unbiased and my own. So, I shall do the awards here, now. :) Thank you, Chloe! 2. choose eleven bloggers to nominate that have less than 200 followers. 4. let the people who you’ve nominated know when you’ve done so. 5. you can’t nominate the person that has nominated you. 6. create eleven questions for the bloggers you’ve nominated to answer. 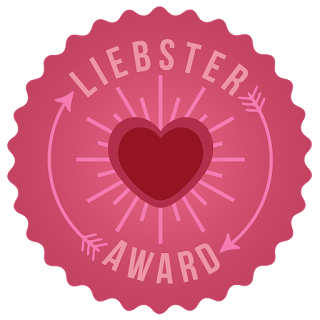 7. you must follow the blog that nominated you. Who was the first person you talked to this morning? If you could meet any person on earth, who would you want to meet? Since that is ‘on earth’ I assume that excludes Biblical people? Well, assuming that…right now I want to meet two of my dearest penpals. Absolutely NOT. I’ve been there twice in the last month, and that is enough for me. What is your favorite blog…other than yours :)? I like multiple blogs, really. I don’t know if I could pick just one…There’s Shining Stars (http://shiningstarsmagazine.com/), Yet Another Period Drama Blog (http://miss-dashwood.blogspot.com/) Kisses from Katie (http://kissesfromkatie.blogspot.com/) and I know I am forgetting many more! Have you ever flown over the ocean? What are you most looking forward to in life? 3. Set questions for the nominated bloggers. I love t-shirts and hoodies. I try to write in my journal on the first of every month. I probably spend more time on Pinterest than I should. Medieval dresses and cloaks are a favourite of mine. I am so excited to get back to tomahawk and knife-throwing as soon as the snow melts a bit. Trying to find 11 facts about myself is rather difficult. Jesus is breaking me to make me whole again. I don’t know what I’d do without my Lord, family and my cat. I am a super happy auntie. What do you want to do on earth more than anything else? I want to do what the Lord calls me to do. What is your favorite book (other than the Bible)…? That’s a hard one… I love the Knights of Arrethtrae books, “Cloak of the Light”, “Pearl in the Sand” and all of Tessa Afshar books, and “Bella at Midnight” among MANY more. I’m thankfully done with school, but my favourite subject was probably Bible and history. 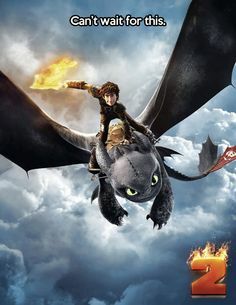 Who is your favorite hero (in books or movies)? If you could change anything in your facial features what would you change? “Wives and Daughters” and “North and South” and “How to Train Your Dragon” :D Oh and “Persuasion”! The things I’m most passionate about. What is the most amazing thing you’ve ever done? 1. If you could have any animal (wild, exotic or tamed), what would you have? 2. Favourite book of the Bible? 3. Would you prefer to receive letters or emails? 4. What’s your middle name? 5. What’s the longest book you’ve ever read (not including the Bible, if you’ve read through all of that)? 6. How many states have you been to, or countries? 7. Normal socks or toe socks? 9. How many books do you hope to read this year? 11. Do you listen to Toby Mac? It does really look like a good book, and I’m definitely interested in reading it. Secondly, I will not be posting anything this week, as we shall be visiting my grandparents up north. Greatly looking forward to this trip. So, this post must be short and end here, as I need to finish packing everything! “Dandelions on the Wind”, The First Novella. This novella was an easy, short read. The main character, Maren, was a well-built-up character and very likable. Some parts of this book felt a bit rushed, but I did kind of expect that in a novella. The story-line was good, if not a little bit predictable. One of my main complaints in any romance novels set back in previous time periods, however, is the kissing. In most of the settings and times, kissing before marriage would have been a very big ‘no-no’. So that did bug me a little at the end. But otherwise this novella was good. God was in the beginning, which was encouraging, but He seemed semi-forgotten in the middle, and then reincorporated at the end. The book was more Christian-set than some novels I’ve read, but I still felt like it could have included much more. “Bending Towards the Sun”, The Second Novella. So far, this novella is my favourite of this collection. Of course, I have not read the third one yet, but of the glimpses given into each of the main characters, I think that I found Emilie’s character the most relate-able for me, personally. I wish this story could have been longer – I would have greatly enjoyed spending more times between the pages of this one! It was a bit rushed at the end, and ended a bit too abruptly, in my opinion. The ending was good, don’t get me wrong, it was just sudden. But I really did enjoy the story line and characters. And the amount of faith, too, though some of it was a bit quick or rushed as well. However, the lessons learned are very good. Emilie goes through her own trials and conflicts, which makes her easier to identify with. There was more “complication” in this romance, which I actually appreciated, because it was on the more realistic side. Ripples Along the Shore”, the Third (and final) Novella. At the beginning of this one, I was a little confused as to the setting, but that soon made itself clear, as it explained where it picks up from the previous setting. That aside, I did like this story, though maybe not as much as the second novella. Caroline was a “real” character, though – she had ways that just made her ‘alive’. Even though this was the longest novella of the three, I felt like it left out a lot. You weren’t really sure about some things by the end of it. All three of these Novella’s were delightful, but definitely romance-y. And a slight bit on the predictable, as romances usually go. Each novella was well-written and kept your attention, which is a definite plus in its favor. however, I will make note that I did not like the cover of this book. The ladies pictured were no fitted to the time-period – the models looked like todays ladies with maybe older fashioned clothing. I received this book free from Blogging For Books, in return for my honest and unbiased review. First let me say, the cover is beautiful. I know we’re not to ‘judge a book by it’s cover’, but I’m afraid I do that on occasion. :) And this book cover just claims my attention. Next, I need to also mention that as an author (unpublished) myself, I know how much of yourself, you put into your stories, and how much you love them, no matter what anyone else says. I felt like I could see just how much Mrs. Putman cherished this story of hers. I, personally, felt like you could detect that in “Shadowed by Grace” and I appreciated that. I am still contemplating all my thoughts on this book. It stuck with me, which if a book is boring or uninteresting to me, it won’t stay with me. But I will be honest and say that I had a bit of a hard time really getting into the book. Some parts just didn’t grab my attention and keep it there. The idea of the book is great – the setting is fantastic, the realness is good, and the characters are marvelous. But it lacked something, in my opinion. The story itself wasn’t as great as I was hoping for. That doesn’t mean that someone else won’t love it though. In fact, I think many would greatly enjoy it, especially if they love art. I, however, have never really been interested in art, and therefore didn’t enjoy it quite as much. I really liked the characters, though. Rachel specifically. She was very real. All the characters were well built-up. I didn’t mind the romance – I actually thought it was at a pretty okay level for the most part. 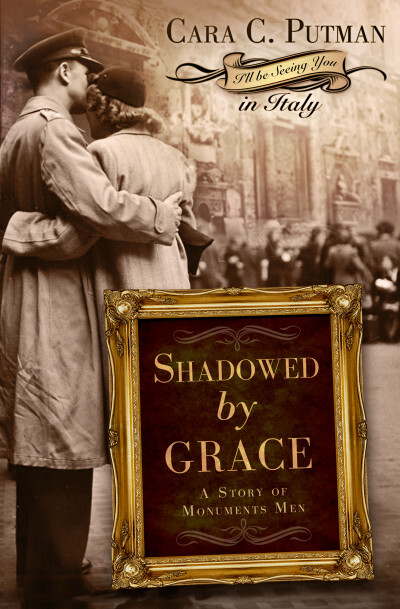 Some books focus mainly on the romance and it is heavily played out in the book, but that wasn’t the case in “Shadowed by Grace” and I appreciated that. I think that at some points the kissing was a little much, and they kind of jumped into a relationship between the two main characters, but I also think that it was a bit more believable because of the war. Mrs. Putman, you can tell, did a lot of research for this book. That made it very real and believable. This book wasn’t a favourite for me, but there was something about it that ‘sparked’. I don’t know exactly how to explain it. Besides the story itself, there is something in the pages that I can’t quite put my finger on, but I really liked. Something that got in my head and settled there. The book continued to play out in my head even after I finished it. There’s a certain curiosity with it – between the words -that I loved; something written between the lines. Sometimes I loved the style of writing, and sometimes it confused me, but overall I liked how the author wrote how she wanted to. I think an author has a right to write how they want and I saw that in this book. The message of God’s love towards the end was very good, as well. I think that aspect was well written, though some parts were a bit brief or sudden. Rachel’s journey was good and interesting to follow. There is great potential in this book; there were just some rough parts. The more I think about the book, the more I think fondly of it and want to give it another try sometime in the future. About the author: Cara C. Putman graduated high school at 16, college at 20, and completed her law degree at 27. The best-selling author of more than a dozen books, Cara is active in women’s ministry at her church, teaches graduate courses at Purdue University, practices law, and is a homeschooling mom. She lives with her husband and 4 children in Indiana. My lack of posting anything other than book reviews in January was due to it being a difficult month. To sum it up, it started out with death and ended in death, with a few more in between. I don’t want to be all gloomy about it, but that’s just how it was, very sadly. The amount of tears shed from all of us was probably a sea-worth. Haha, maybe not, but you get my point. On the first one of the older horses in our barn passed away, which was sad. Then about a week later my elder sister’s horse passed away unexpectedly – he was only 7 years old. Then during all this, we were dealing with my dad’s father passing away. He passed about a week after the horse passed. And then about a week after he passed, our mini-donkey unexpectedly passed away too. That was on the last day of January. There was so much involved with all of it, and we were all so emotion-spent. 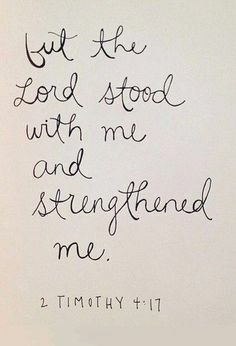 Yes, the Lord did definitely stand with all of us and strengthen us. He still is. And always will be. We’ve been learning a lot of lessons, which is good, of course. Alright, how about one more picture from Pinterest before I go? I do realise that all I have been posting is book reviews. I have been dwelling on that fact a lot, and do want to write a regular post very very soon!! Life has been extremely busy, emotional, and rough. But I’ll get to all that in another post.